Published in the American Journal of Clinical Nutrition today, the research extends on a previous study that found similar results over a period of three months. Led by Dr Nick Fuller from the University&apos;s Boden Institute of Obesity, Nutrition, Exercise and Eating Disorders at the Charles Perkins Centre, the research was conducted with the University of Sydney&apos;s Sydney Medical School and the Royal Prince Alfred Hospital. In the initial trial, participants aimed to maintain their weight while embarking on a high-egg (12 eggs per week) or low-egg (less than two eggs per week) diet, with no difference in cardiovascular risk markers identified at the end of three months. The same participants then embarked on a weight loss diet for an additional three months, while continuing their high or low egg consumption. For a further six months -- up to 12 months in total -- participants were followed up by researchers and continued their high or low egg intake. At all stages, both groups showed no adverse changes in cardiovascular risk markers and achieved equivalent weight loss -- regardless of their level of egg consumption, Dr Fuller explained. 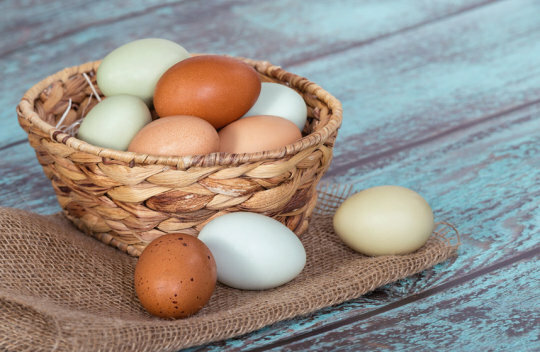 "Despite differing advice around safe levels of egg consumption for people with pre-diabetes and type 2 diabetes, our research indicates people do not need to hold back from eating eggs if this is part of a healthy diet," Dr Fuller said. "A healthy diet as prescribed in this study emphasised replacing saturated fats (such as butter) with monounsaturated and polyunsaturated fats (such as avocado and olive oil)," he added. "While eggs themselves are high in dietary cholesterol -- and people with type 2 diabetes tend to have higher levels of the &apos;bad&apos; low density lipoprotein (LDL) cholesterol -- this study supports existing research that shows consumption of eggs has little effect on the levels of cholesterol in the blood of the people eating them," Dr Fuller explained. Dr Fuller said the findings of the study were important due to the potential health benefits of eggs for people with pre-diabetes and type 2 diabetes, as well as the general population. The different egg diets also appeared to have no impact on weight, Dr Fuller said.